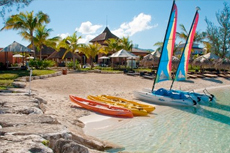 Savor the sun and cast away stress as you enjoy a beach break excursion on Montego Bay's white sand beaches. 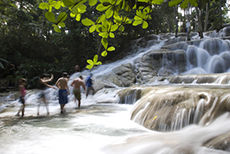 Dunn's River Falls offer 600 feet of climbing pleasure for thousands of visitors and locals every year. It is arguably Jamaica's most popular and famous attraction. 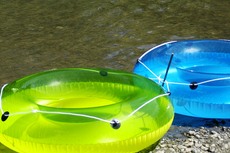 A river tour in Montego Bay combines gentle rapids and lounging in the tropical sun. 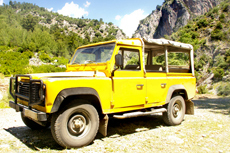 Embark on a Jeep tour to Montego Bay's mountains, beaches and natural habitats. 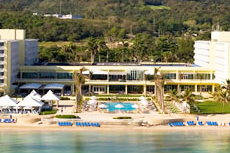 The Hilton Rose Hall in Montego Bay offers a spectacular variety of summer fun for every member of the family. 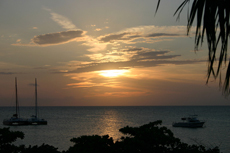 Getting around to all the 'must sees' of Montego Bay is made easy with a tour of the island. If you need a break from the beach, visit the manicured plantation grounds in Montego Bay. 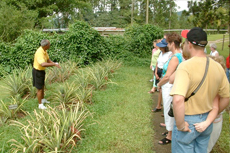 Taste the local culture, literally-- on many tours, visitors sample honey, sugarcane and pineapple. Spend the day exploring the beautiful island of Montego Bay at your own pace. 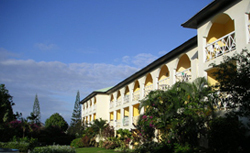 Enjoy a relaxing day and experience the very best of Montego Bay at the famous Sunset Beach Resort. Enjoy a scenic and informative journey through some of Montego Bay's most historic areas and popular attractions with a tour of the city. Become one with nature as you soar through the trees and over the great river and historic dam on an exciting zip-lining excursion. Enjoy a day at the beach at one of Jamaica’s most luxurious oceanfront properties as you indulge in local entertainment, pool activities, and quench your thirst with delicious drinks. 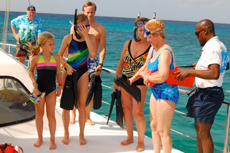 Enjoy a snorkeling adventure in Montego Bay, while visiting what are considered to be some of the best dive sites in the world. Savor the day on horseback while riding through Montego Bay’s tropical terrain and sandy beaches. 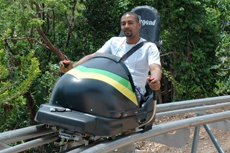 Enjoy a once-in-a-lifetime opportunity as you race through the forest and tropical landscapes on a bobsled in Montego Bay. Spend a day with intelligent and friendly dolphins as you swing and play alongside them in Montego Bay. 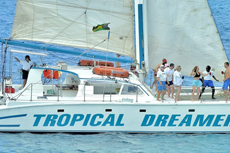 Relax on a catamaran while sailing around Montego Bay, observing marine life around the coral reef. Rum has been produced in Jamaica for hundreds of years. 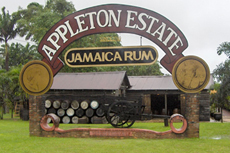 Take a distillery tour to see the distillation and aging process at a popular distillery in Montego Bay. 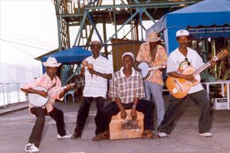 Become saturated in Montego Bay's rich history as you embark on the Heritage Tour. 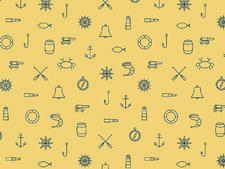 Though now a developed city, it boasts of an intriguing past that you will thoroughly appreciate. 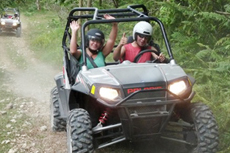 Embark on an unforgettable ATV Adventure through Montego Bay's natural habitat. 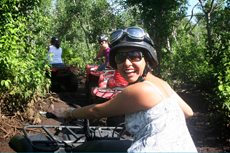 Enjoy incredible views while riding through rugged terrain. If you're into rugged good times and don't mind getting a little muddy, then this fantastic trip into the gorgeous emerald mountains of Jamaica is the perfect excursion for you! 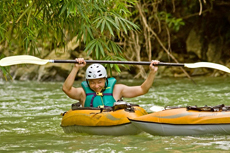 Discover the secret side of Jamaica's waterways as you kayak your way through lush tropical forests and amazing woodlands. 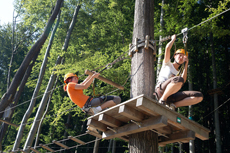 You'll see fertile woods, many varieties of flora, and you can even test your Tarzan skills! 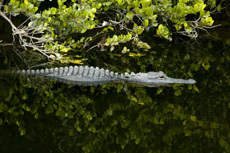 The longest river in Jamaica, the Black River is a great place to explore remote mangrove swamps and to catch a glimpse of native species like crocodiles living in their natural habitats. 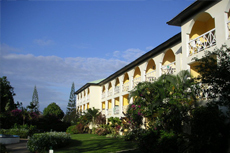 Jamaica is home to some of the top golf courses and resorts in the Caribbean. Duty-free Shopping: Montego Bay's duty-free shopping in the City Centre shopping area stretches along one block downtown; there, you'll find gold, timepieces, perfumes, crystal, leather goods, souvenirs and boutique clothing. MoBay's most upscale shopping center is located at Half Moon Shopping Village in the Rose Hall area, featuring fine duty-free shops, souvenir shops, clothing, restaurants and a post office in case you want to send some stuff home. You can buy everything from designer lingerie to Cuban cigars there. (Just smoke them before you head back to the U.S.) Nearby, a new upscale shopping center is in the works at Whitter Village Centre. 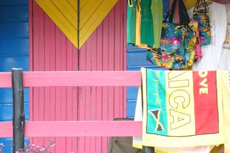 Arts and Crafts: For sourcing everything from hand-carved wooden statues of eagles and sea turtles to rasta-themed baby clothes and those ubiquitous coconut-shell purses, set your sights on MoBay's two bustling craft markets. The Harbour Street Craft Market has the largest selection, and it's a good place to buy straw hats and bags and to meet the Montegonians who carve the wood sculptures onsite. The Old Fort Craft Park, next to the old fort, is a collection of wooden stalls with some good local wares, too. Just bring your bargaining skills to the table! 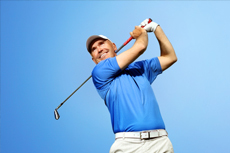 Golfing: Montego Bay has five championship courses within a short ride of the cruise port. If you only play one MoBay-area course, however, it's got to be the Tryall Club. Consistently ranked among the best in the Caribbean, the course has remnants of a historic 1800s estate incorporated into the holes, including an aqueduct at the seventh hole. The White Witch Golf Course, a par-71 course designed by Robert Van Hagge and Rick Baril, is spread on 600 acres and has panoramic ocean views from the 17th hole. Cinnamon Hill Golf Course at Rose Hall Resort underwent a redesign in 2001 and has a very challenging back nine overlooking a great house that was Johnny and June Cash's former home. SuperClubs Ironshore course is known for its challenging layout -- it's a par-72 and 6,633 yards long. And, the Robert Trent Jones-designed Half Moon Golf Course is a hit for its gorgeous ocean views and challenging drives. Mystic Mountain: Ochos Rios' Mystic Mountain is a rainforest adventure park that's great for kids and adults and home to some very unique outdoor activities. The adventure begins with a ride on the Sky Explorer, a chairlift that soars 700 feet over the lush landscape below. Once at the top, travelers can opt to try the park's signature Bobsled Jamaica ride, the Zip-Line Canopy tour or a twisty slide that ends up in the mountaintop swimming pool. Have lunch, and take in the view from Lookout Tower before making your way back down the mountain on the chairlift. Margaritaville: It's a Caribbean cliche, but high on the list of must-dos for many visitors to MoBay. Smack dab on the Hip Strip, Jimmy Buffett's Margaritaville us the spot to down a boatdrink (Buffettspeak for a fruity cocktail) and cheeseburger in paradise while watching people bounce on the trampolines in the ocean and fly down the waterslide that drops dead into the sea. Hip Strip: A stroll along the Hip Strip (also known as Gloucester Avenue), past bars and shops in MoBay's most bustling tourist district, which fronts the beach, is a must-do for every new arrival. Margaritaville is the hub of the Hip Strip action, but in the blocks nearby, you'll find other fun bars and hangout spots like the Jamaican Bobsled Cafe, Blue Beat jazz and blues bar and shops selling everything from swimwear to souvenir T-shirts. Dunn's River Falls: It takes about an hour and a half by taxi to get from Montego Bay to Dunn's River Falls, these most famous of Jamaica's cascades near Ocho Rios, where you can climb 600 feet up from the base of the falls or retreat to the beach where the rushing water exits into the ocean. 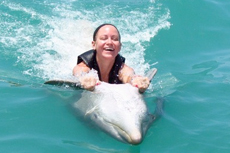 Dolphin Cove: With Dolphin Cove locations both in Negril and Montego Bay, this marine theme park of sorts is the place to have encounters with dolphins in a controlled lagoon, pose with parrots and interact with stingrays and other marine animals. Great Houses of Montego Bay: Tour the great houses near Montego Bay, including the magnificently restored 1760 Rose Hall Great House, Jamaica's most famed great house, which is said to be haunted by the ghost of Annie Palmer, also known as the "The White Witch." Also in Montego Bay, the Greenwood Great House is more than 200 years old and was owned by the family of Elizabeth Barrett-Browning, the famous English poet. Other great houses in the area include Bellefield Great House and Hampden Great House, home to a rum distillery and factory tour. Richmond Hill Inn: Hire a taxi for the short ride (10 to 15 minutes from the port) to Richmond Hill Inn, where you can sit on the terrace and sip a cold beverage while taking in amazing vistas. Perched high over Montego Bay, you'll have views of the city and of your cruise ship, too. YS Falls: Hire a taxi for the roughly 50-mile ride southwest to YS Falls, a seven-tiered waterfall in Jamaica's rugged Cockpit Country in St. Elizabeth parish, where you can swim in a setting with far fewer crowds than what you'd find on any given day at Dunn's River Falls. Rocklands Bird Feeding Station and Sanctuary:: Spend the day at the Rocklands Bird Feeding Station and Sanctuary in the town of Anchovy (20 minutes by taxi from Montego Bay), where you can stroll a nature trail and hand-feed the friendly birds on property (and hopefully encounter a few of Jamaica's more than 20 endemic species, too). Best Party Beach: Doctor's Cave Beach, on the Hip Strip and a stone's throw from party central hotpot Margaritaville, is the most happening party beach in MoBay. It's also the go-to destination for families and couples looking to lounge on the beach with amenities -- showers, food, and chair and umbrella rentals -- at the ready. And, locals claim the waters there have healing powers (all the better reason to spend your day splashing). It's a 10-minute and $5 taxi ride from the port to the beach. There's a nominal entry fee, and you'd be wise to bring towels from the ship. Best Beach for the Dedicated Beach Bum: Seawind Beach is a private club, a short walk (or ride) from the port, fronting an immaculately maintained if small stretch of sand that's dotted with lounge chairs and catamarans. With your entrance fee, you'll get access to the pool, too, and there's an on-site restaurant, as well. The shallow, protected beach there is great for families, and there are catamarans and other watercrafts available for rent. Best Beach for Active Types: Formerly known as Walter Fletcher Beach, the beach now called Aquasol is an oceanfront theme park of sorts. There's a water park, go carts and a nice stretch of sand where you can rent jet skis and pedal boats and go on banana boat rides. Best Secluded Beach: Cornwall Beach, on a crescent bay not far from the Hip Strip, has lots of room so you can wander off and find a quiet stretch of sand for spreading out your beach towel. You can rent lounge chairs there, too.